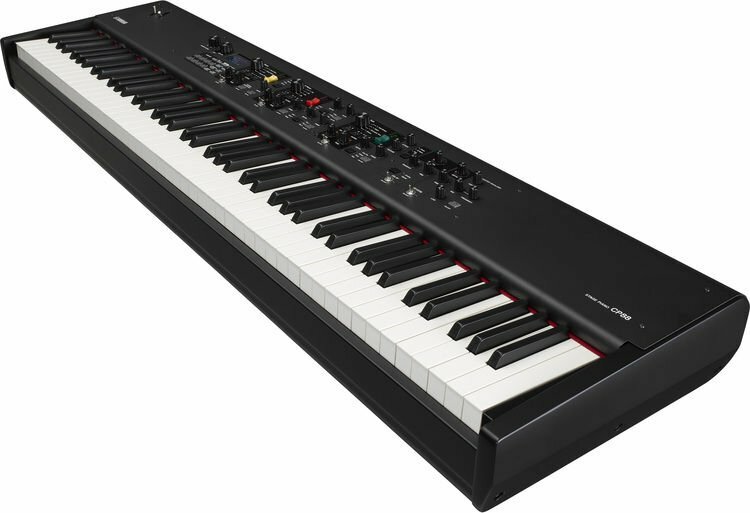 The CP88’s NW-GH (Natural Wood Graded Hammer) 88-note keyboard is designed for the discerning pianist requiring fast, accurate touch response. 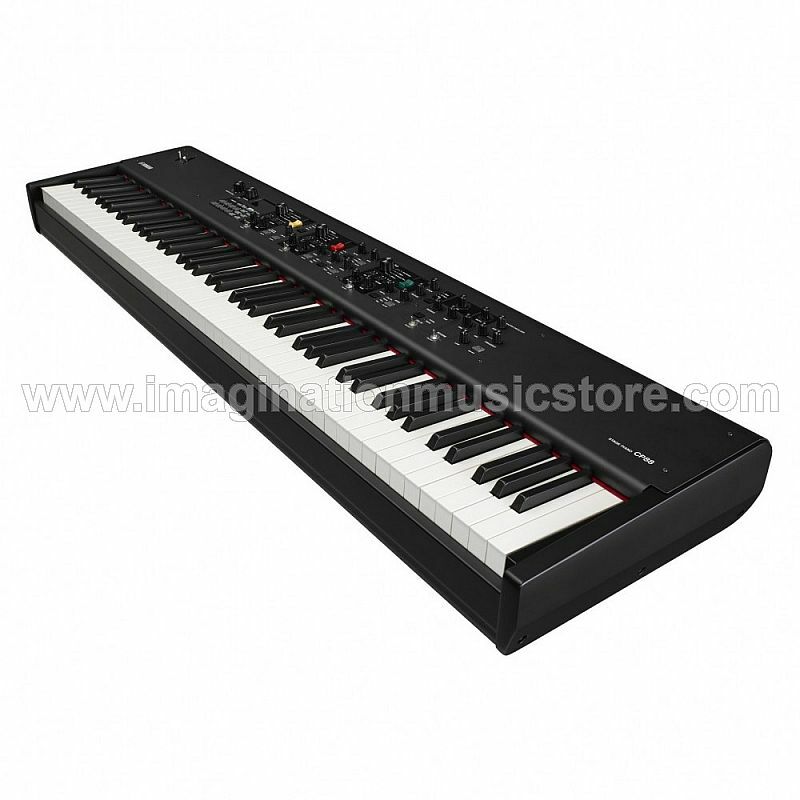 Triple-sensor, natural wood keys provide grand piano weighting and response while synthetic ebony and ivory keytops absorb moisture and provide tactile grip during lengthy sessions and live gigs. 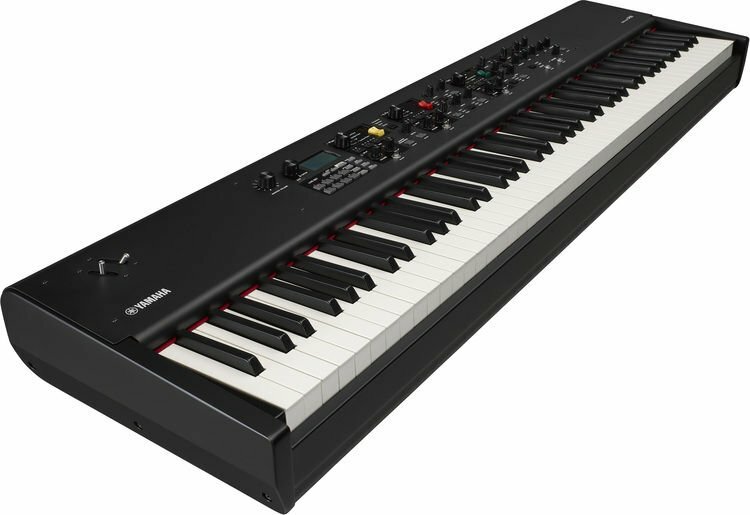 Pianists at Sweetwater love the natural feel and response of these keys, and if you came up playing acoustic pianos, you will too. The Yamaha CP88 stage piano gives you three premium grand pianos: Yamaha’s own world-class CFX and S700 concert grands, as well as the inimitable Bösendorfer Imperial 290. These pianos provide full dynamic expression and nuance through meticulous recording and voicing. With over 17 years of continuous development, the CFX is Yamaha’s flagship 9-foot concert grand piano, and it delivers sparkling highs, crisp midrange, and robust bass with prodigious dynamic range and the volume to project over a full symphony orchestra. Handcrafted by Yamaha master artisans, the S700 has the clarity and power to cut through dense arrangements, while remaining delicate and expressive in solo and sparser musical settings. Bösendorfer is the only piano maker still building their instruments in the Viennese handcrafted design tradition. This results in pianos boasting the characteristic “Viennese Sound,” with warm bass, singing treble, and rich overtones. The 8-octave, 9.5-foot Imperial 290 is Bösendorfer’s awe-inspiring flagship grand. The Imperial’s extended bass range resonates with every key you strike, and its massive soundboard projects emphatically at all frequencies.